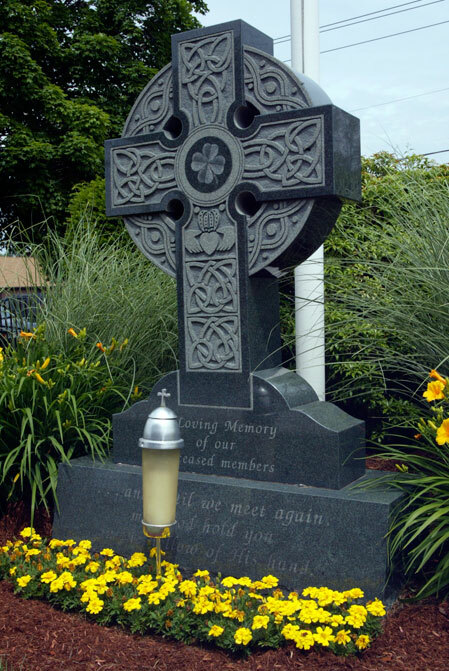 The Glastonbury Irish-American Society has approximately 2,000 members. Membership is open to any person 21 years or older, and of Irish descent, or a spouse of a member in good standing. Annual dues for new members are $100., plus a $50 initiation fee for a total of $150. Prospective members must fill out the membership form available at the IAH Society and be sponsored by a current Club member at the monthly, Tuesday Sponsor meeting. This is held each Tuesday before the 2nd Friday of the month at 7:00 p.m. at the IAH Society, and the sponsor and prospective member must both be in attendance. New members are then sworn-in on Friday at 8:00 p.m., of the same week, at the IAH Society. New members must be in attendance at this time, and dues must be paid at this time. Any club member with 25 years of continuous membership and having reached the age of 65 are eligible for life membership. Call Kathy Saiminikas (860) 895-8711 for more information. If you are sponsoring a candidate for membership, be advised that the prospective members must appear for screening by the Board of Directors at the regular monthly meeting of the Board, which takes place on Tuesday before the monthly membership meeting. Screening will take place at 7:00 p.m. No candidates will be screened on the night of the membership meeting. Click here to download a membership application. Once filled out, you can drop it off or mail it to the Club.